Dominating possession, the lion's share of corners and attempts at goal but with nothing to show for it. 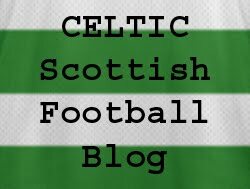 Then a weakness in the face of counter attacks was exploited and suddenly Celtic found themselves scrambling for an equaliser against Kilmarnock last night. Familiar failings. The cracker-jack start to the season seems a long way off now. The first eight games brought eight wins and 24 points for Neil Lennon. The following eight games have brought only 12 points and three wins. I wrote after the Old Firm game that Lennon was displaying a worrying habit of losing big games as manager. He was failing the critical tests. He's been failing more than that recently. Losing at Tynecastle might not be the end of the world but failing to beat Inverness, Dundee United and Kilmarnock in successive home games hints at bit problems for a club where winning everything really is everything. Clearly the defence needs strengthening and Lennon confirmed last night that there would be new arrivals in January. That might also include a striker after Gary Hooper's serious looking injury. But Lennon has already made a number of signings. And the team continues to struggle. The board have no option but to back him for now but they might be feeling ever more queasy as they do. That Celtic are still only two points off the pace shows that Lennon is not involved in a duel with an invincible Rangers side. The situation is not yet an almighty disaster. But the "I told you so" brigade (of which I will be accused of being a member) will see that the warnings of the inexperienced Lennon's unsuitability for the job are beginning to look fairly accurate. Even his undoubted passion for the club hasn't brought the desired results. Lennon wanted fire. His run-ins with the refereeing authorities - some justified, some not so justified and often with a dose of over-reaction thrown in - have looked at times to be engineered to generate that fire. But it is in the white heat of this refereeing row that Celtic have come unstuck. A young manager's attempt at mind games becoming a distraction? It's an easy argument to make from the outside. Celtic could have gone top last night. Could have, should have. Didn't. It's not unthinkable that by January 3rd Celtic will be five points behind Rangers having played a game more. An already crucial January will become ever more important. A novice manager will be tasked with putting together a run of wins while at the same time identifying and integrating new signings. And a rejuvenated Hearts - 19 points and six wins from their last eight games - will be relishing a trip to Celtic towards the end of the month. A month for Lennon to forget about referees and hard luck stories. Let the fans worry about that. Now's the time for Lennon to prove himself as a manager.